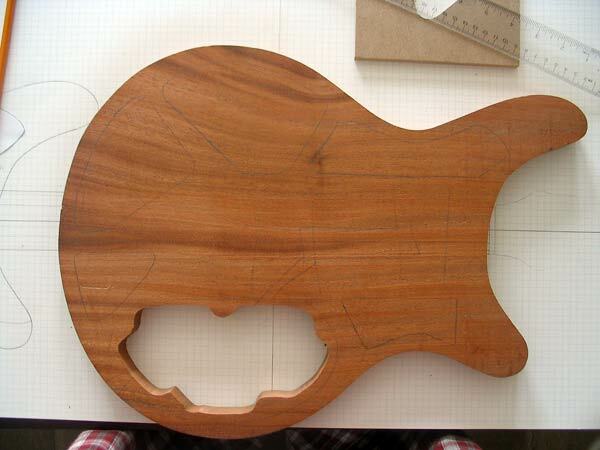 I traced and cut the body shape from a piece of mahogany blank. As you can see, I also cut the electronics cavity hole. 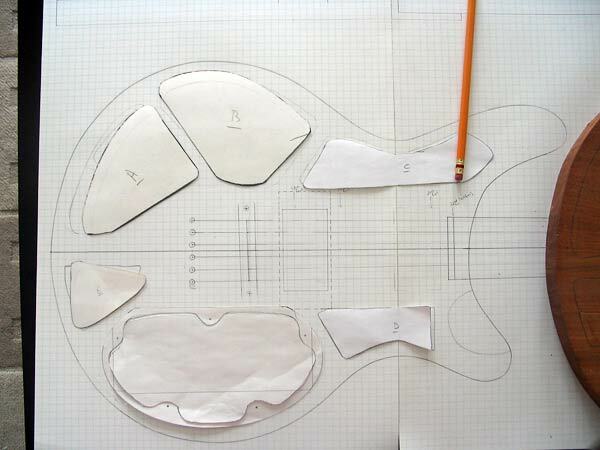 Here I traced and cut the cavity templates with paper and traced them on the body. 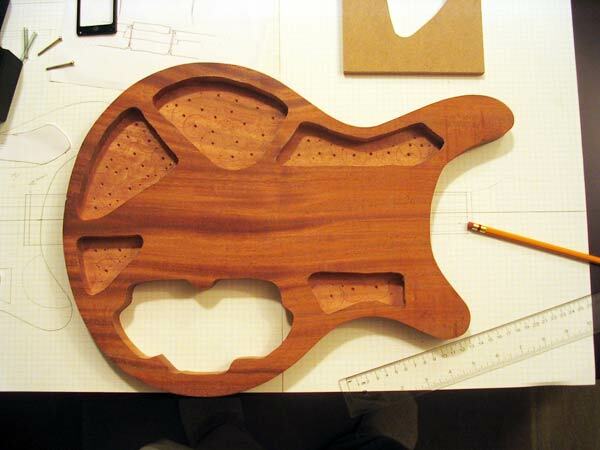 The cavities will reduce the weight of the overall guitar. I used a drill-press with a Forstner bit to remove the majority of the wood from the traced outlines and then used a router to clean up the sides. Since these cavities will be hidden, I don’t need to be very accurate with the sides so I used the router free-hand. There are two guitars I would love to get the plans for, this one and the schecterish looking one that is also in a neck pocket instructional..is that available, and if so how may I go about getting ahold of those…?